and is constantly developing new products to enhance the performance of portable systems. Replacements and upgrades for every major brand. Leading technology in a small, light-weight form factor. High performance audio support for a mobile platform. Support for every type of memory technology. Complete upgrade kits for all major models of notebook computers. Replacements lamps for every major projector brand. 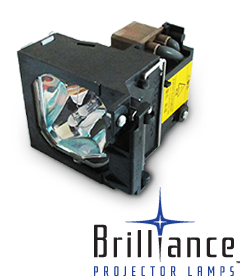 The Brilliance family of replacement Projector Lamps is made up of complete upgrade modules for all major models of digital projectors. Each module comes preassembled and includes everything necessary to replace the existing projector lamp. Every Total Micro Brilliance product is built to meet or exceed the original manufacturers specifications. For over 23 years, Total Micro has been manufacturing and distributing products for our Reseller partners. At a time when other manufacturers have abandoned the reseller market in favor of web based direct sales, Total Micro continues to uphold its commitment to the support of our dealers. The technical support professionals number one priority is customer satisfaction. Have a question regarding your Total Micro product? Contact Technical Support today and let us know how we can help. Copyright © 2018 Mobile International Inc. All rights reserved.